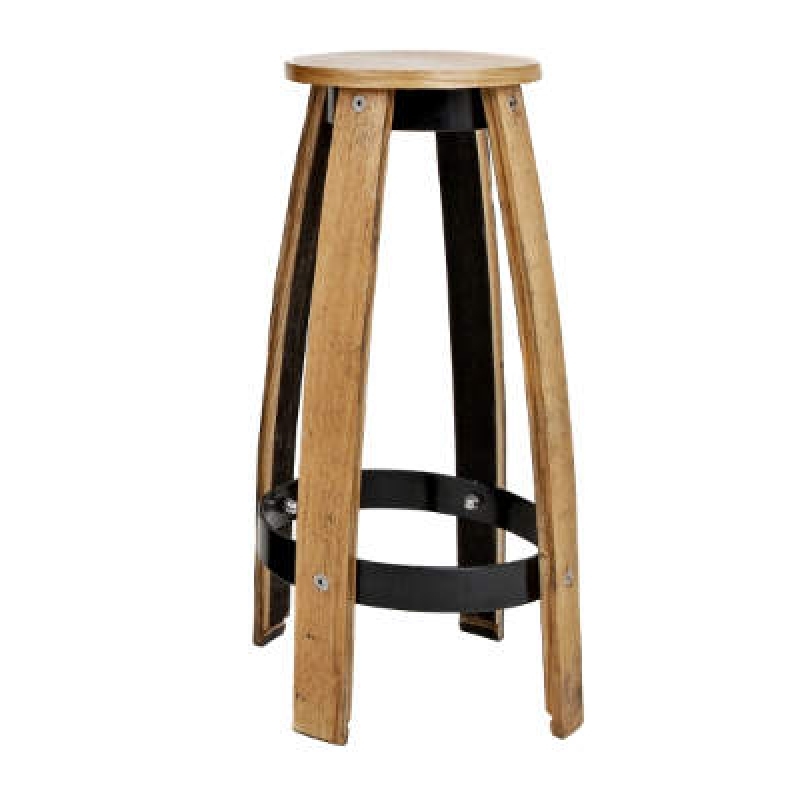 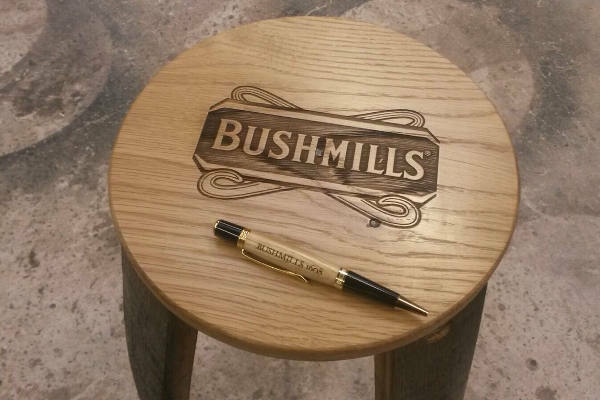 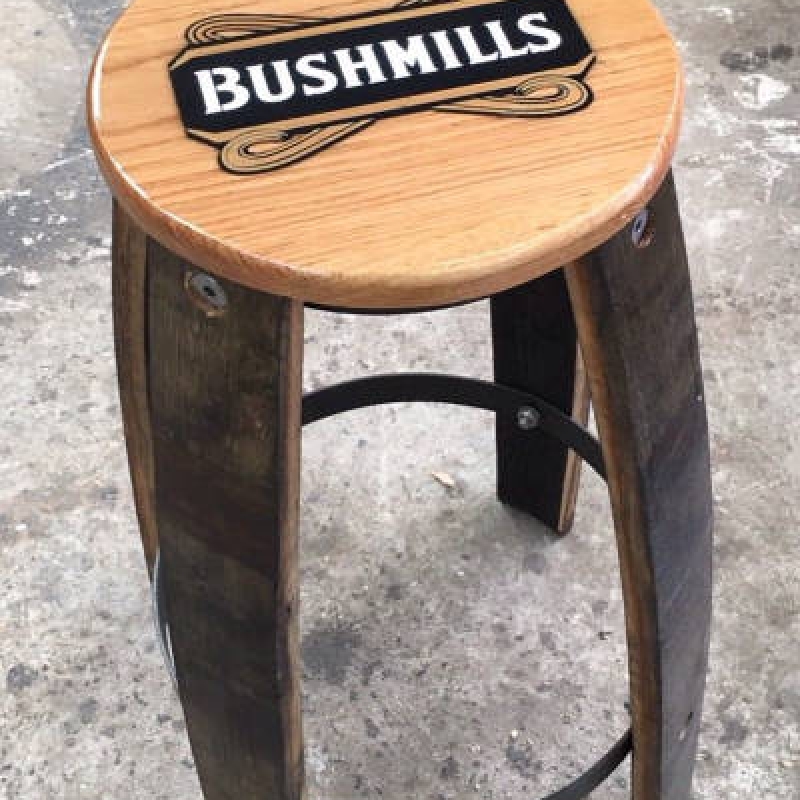 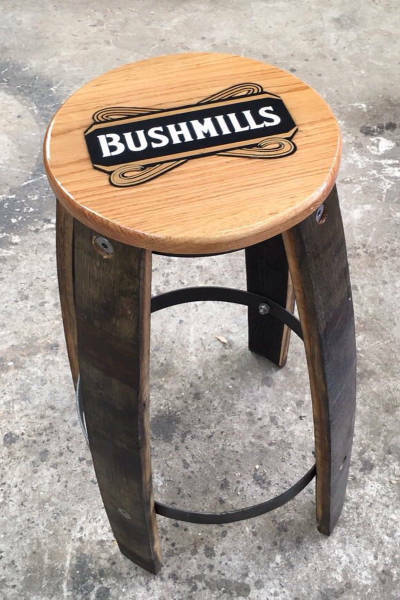 Four real staves from a Bushmills whiskey barrel become a sturdy and attractive bar-stool. 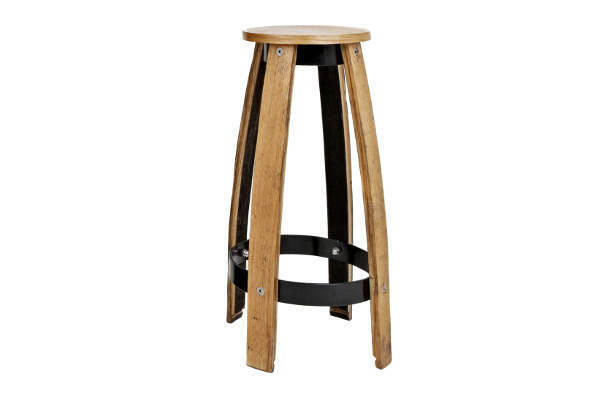 Solid oak stave legs, steel hoops, and solid oak seat. 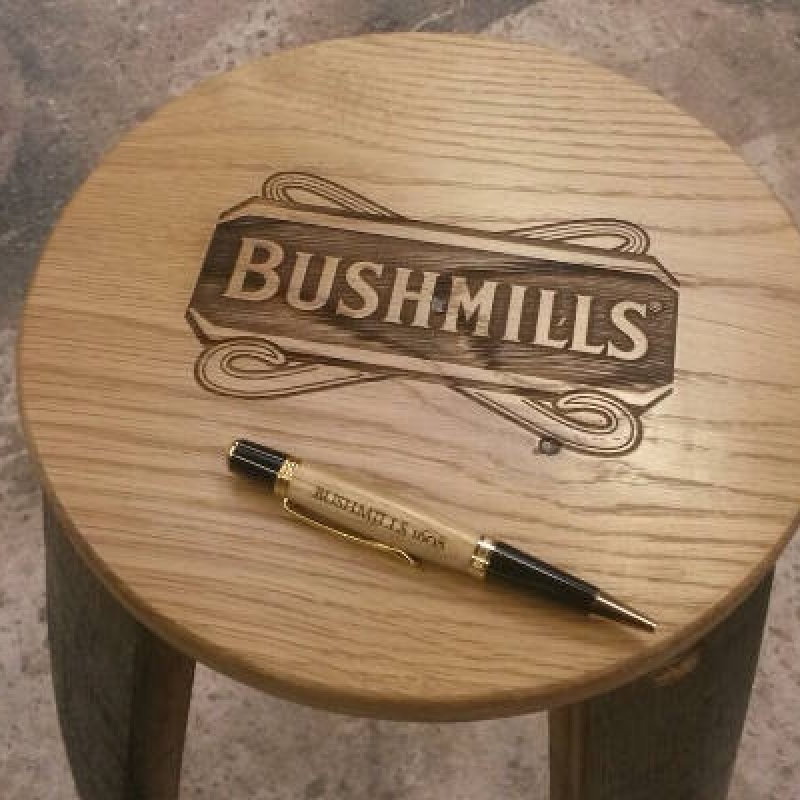 Available with Bushmills Monkeytail logo or personalised.